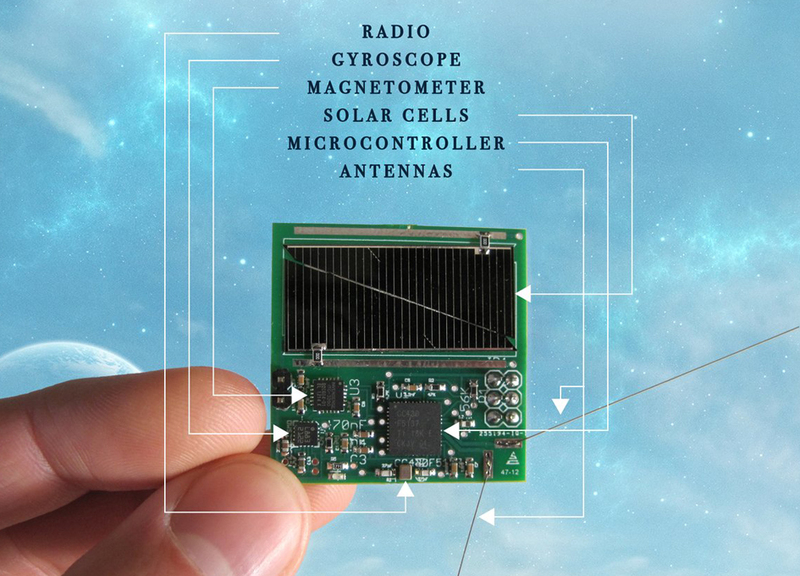 On June 23, a number of prototype "Sprites" - the world's smallest fully functional space probes, built on a single circuit board -- achieved Low Earth Orbit, piggybacking on OHB System AG's 'Max Valier' and 'Venta' satellites. The 3.5-by-3.5 centimeter chips weigh just four grams but contain solar panels, computers, sensors, and radios. These vehicles are the next step of a revolution in spacecraft miniaturization that can contribute to the development of centimeter- and gram-scale "StarChips" envisioned by the Breakthrough Starshot project. The Sprite is the brainchild of Breakthrough Starshot's Zac Manchester, whose 2011 Kickstarter campaign, "KickSat," raised the first funds to develop the concept. The Sprites were constructed by researchers at Cornell University and transported into space as secondary payloads by the Max Valier and Venta satellites, the latter built by the Bremen-based OHB System AG, whose generous assistance made the mission possible. Breakthrough Initiatives - including most notably, Breakthrough Starshot and Breakthrough Listen -- are a set of long-term astronomical programs exploring the Universe, seeking scientific evidence of life beyond Earth, and encouraging public debate from a planetary perspective. Breakthrough Starshot, announced on April 12, 2016, by Yuri Milner and Stephen Hawking, is a $100 million research and engineering program aiming to demonstrate proof of concept for light-propelled spacecraft that could fly at 20 percent of light speed and, in just over 20 years after their launch, capture images and other measurements of the exoplanet Proxima b and other planets in our nearest star system, Alpha Centauri. - Steven Chu, Nobel Prize winner, Stanford University.